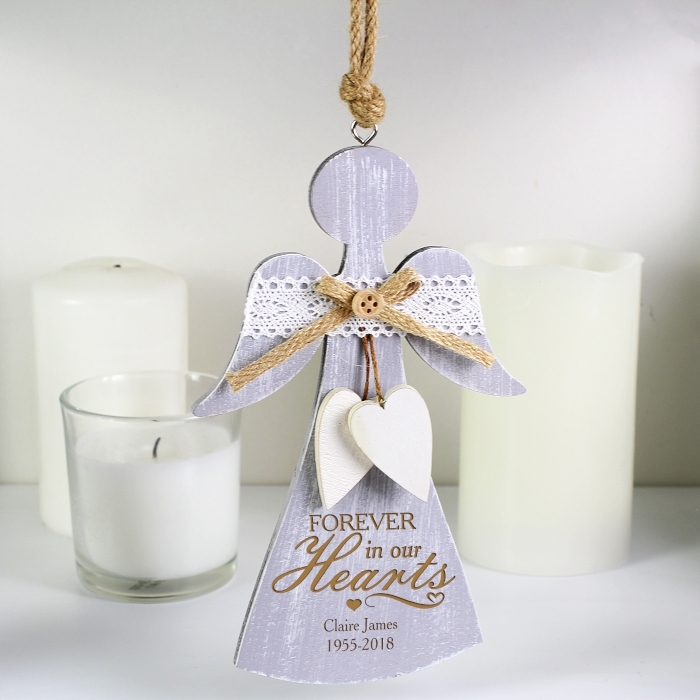 This Personalised In Loving Memory Angel Decoration is a lovely way to remember someone at Christmas time. 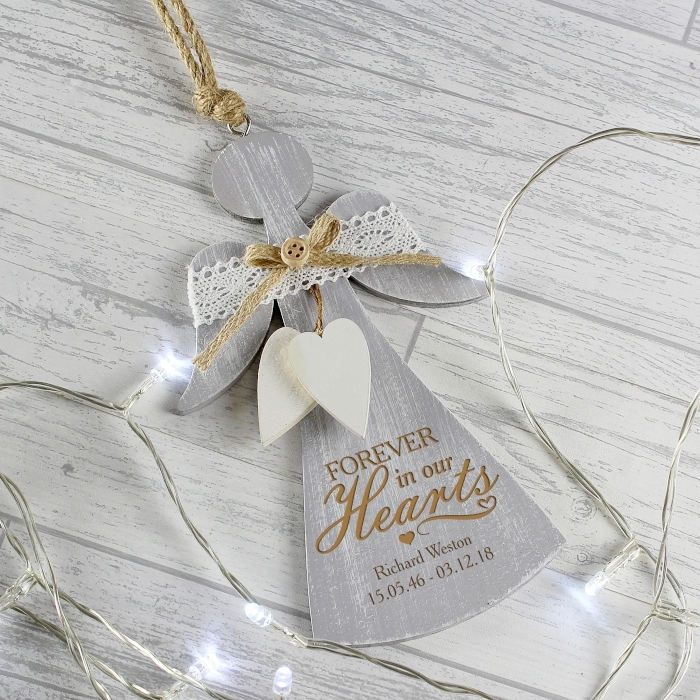 Personalised with up to 2 lines, 20 characters per line. 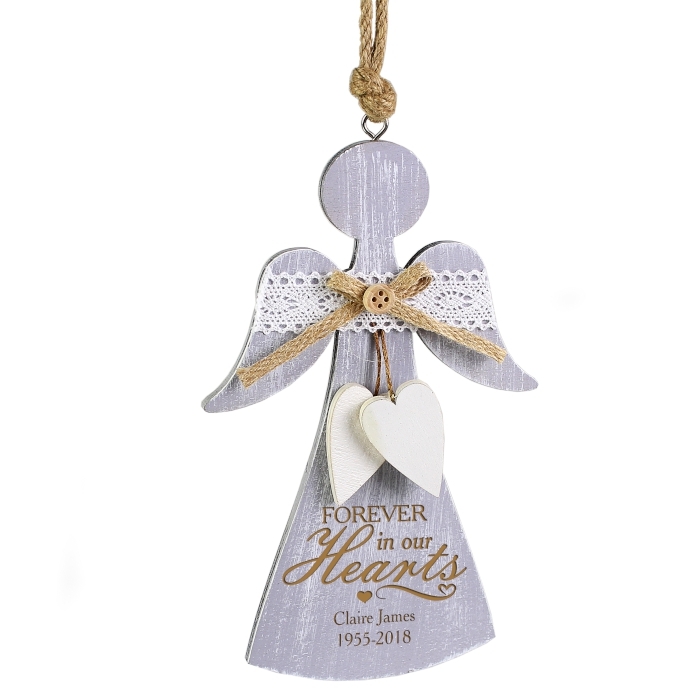 Please note the words 'Forever in our Hearts' are fixed text. 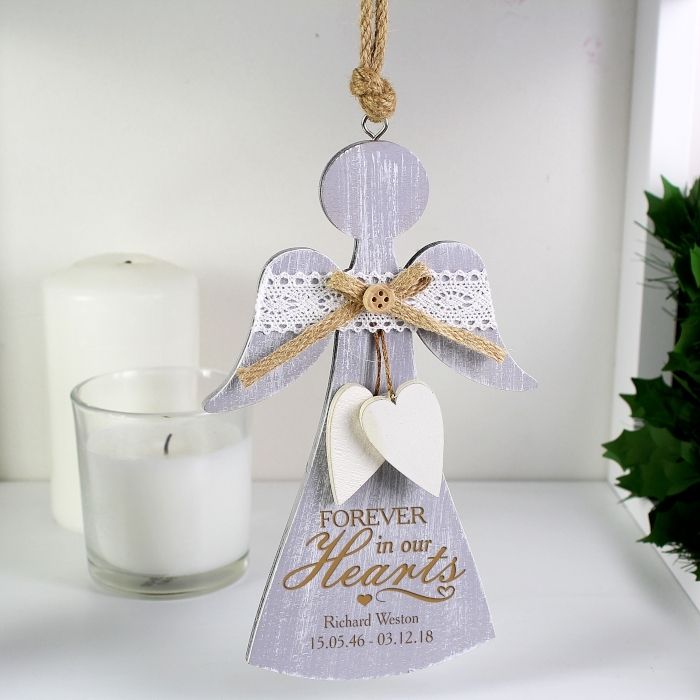 This item comes ready to hang. This is made of wood and features lace detail. 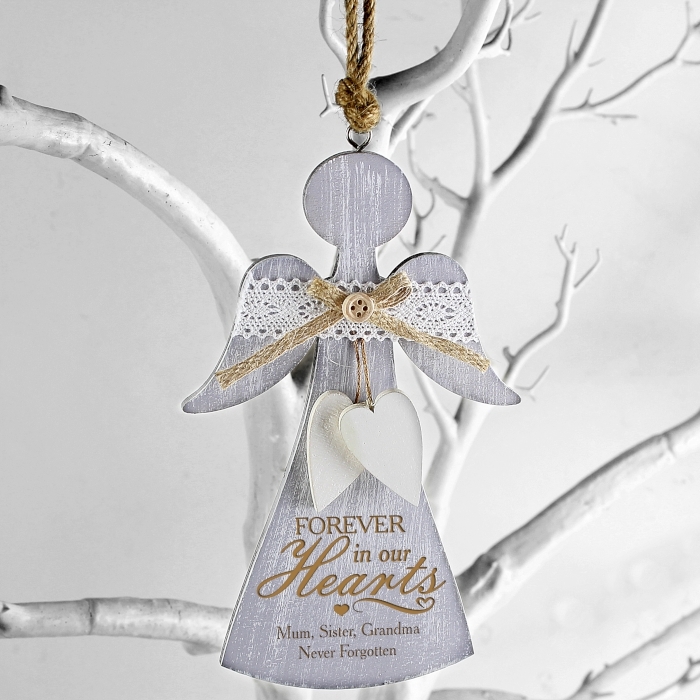 Ideal for Christmas and Memorial.